A: Undesigning seemed the logical choice to entertain. Commercially, I did not have a reason to keep my previous (too 'bootstrappy') website. I have landed my internship. Little did I know the new brutalist site is entertaining; averaging around 40 seconds of retention per visit –that's great for a website with no apparent goal! 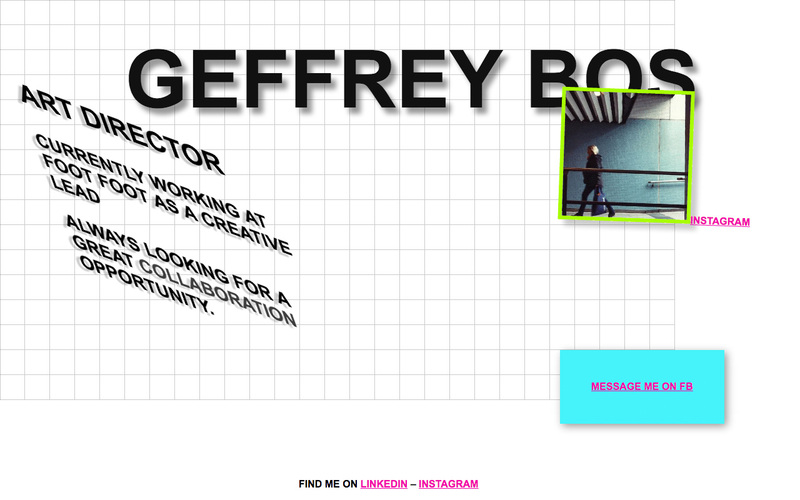 A: Geffrey Bos designed this website. A: I used Brackets Editor to handcode the website. Resulting in a proud 411 kB sized website.